Seats 14 Passengers. The Mercedes Sprinter is the talk of the industry Nationwide and perfect for corporate groups that can’t ride in a limo and don’t want a 14-25 passenger mini bus. The sprinter offers a spacious interior with 6′ 4″ of head room, luxury high back, contoured seats, all with head rest and shoulder strap seat belts, and plenty of leg room when you sit down as well as for your luggage in the rear for your group. The dark tinted windows keeps the interior cool and provides the ultimate desired privacy for our VIP and Celebrity clients. 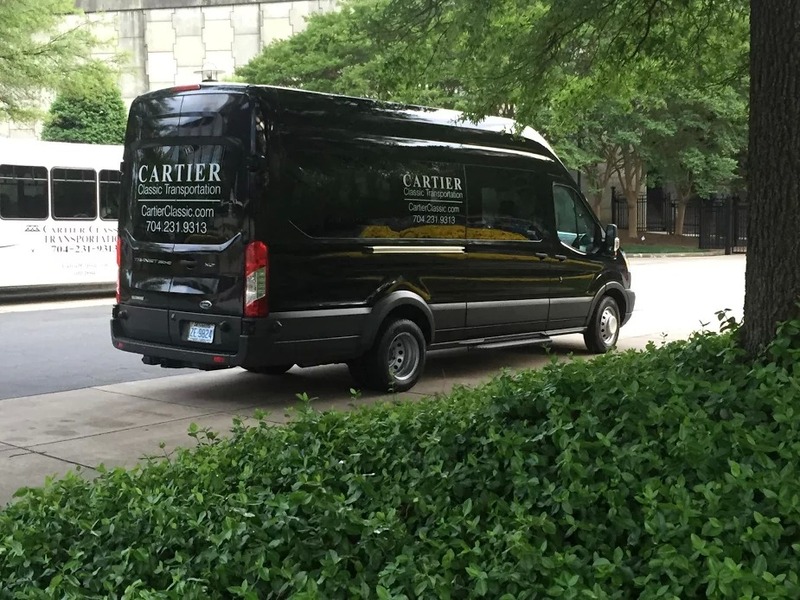 Charlotte Limousine is proud to be the first to bring this vehicle to Charlotte for commercial use and 14 passenger capacity. Please book early, as this vehicle will be in high demand.